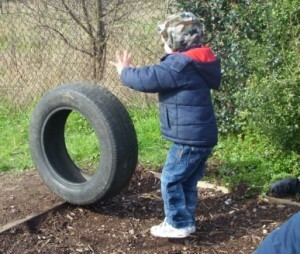 At Early Days Nursery we provide the opportunity for children to play and learn in natural surroundings. Children benefit from being involved in regular Forest School activities as the children develop a real sense of achievement and independence. Whether it’s putting their own wellingtons on or planting some seeds. The children learn things that they can’t get from books or from being indoors. 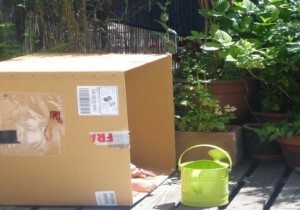 The children discover and explore the environment and what we share the outdoors with. They learn about insects, birds and small animals finding out about their habitats and the natural environment that surrounds them. 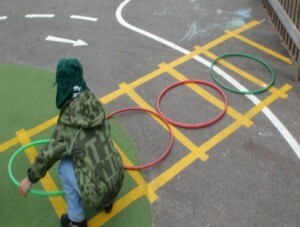 Whilst outdoors the children are observed which helps plan further sessions based upon the child’s interest. 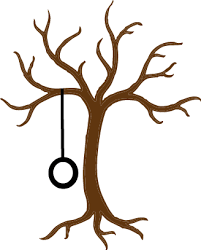 For example if a children are forming schema’s we can encourage them for example: If a child is showing signs of a rotation schema, we can ask them to roll logs to a certain area with us. If they are showing signs of transporting schema, we can ensure that bags, pots, and wheelbarrows are available to them to collect and carry objects from one area to another. 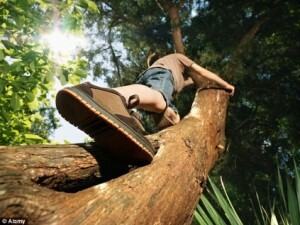 Forest School is made as safe as possible to facilitate children’s risk taking and ability to judge risk for themselves. 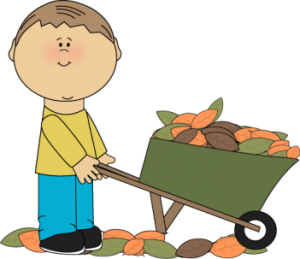 Small achievable tasks enable children to gain satisfaction and grow in self-esteem. By the use of careful observation and assessment staff are able to plan effectively for the next session. Children are encouraged to reflect and revisit activities, and transfer skills they have learnt to other areas of their life. Some of the activities we may do: hide & seek, mini beast hunting, collecting, story-telling & singing, snack time, climbing, pond dipping, crafts, nature identification, bark rubbing and many more are instigated by the children themselves. The children will be outside in all weathers for the whole session. 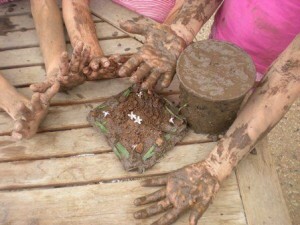 The children need to wear old clothes and know that they can get dirty! In cold weather it is very important children are dressed warmly as they are unable to enjoy the woodland area if cold and uncomfortable. Warm socks and tights under trousers are a good idea for girls and boys. Risk Assessment is a continuous process as it identifies the possible causes of accidents and incidents. Detailed risk assessments are available and daily risk assessments are carried out prior to each session commencing. Staff and child ratio’s are adhered to. Staff have a mobile phone with key numbers programmed in. A first aid kit is carried during every session and a trained first aider is always present. Activities are discussed with the children at the beginning of each session to set boundaries, remind them of safe behaviour and for the children to identify potential risks and hazards for themselves. Ensure that your child has appropriate clothing that can get dirty and messy. Warm clothing in the winter including thick socks and tights, hats and gloves suitable for cold and wet weather conditions. Ensure that in the summer you apply sun cream before your child attends nursery and provide suitable clothing, footwear and a sun hat. The Woodland Trust’s site for children and is full of exciting seasonal ideas for all ages. These are the ‘building blocks’ of knowledge. They tend to show up as urges which children have, like when a baby constantly throws things on the floor for an adult to pick up, or a little child spends ages in the garden spinning around, or a child collects things in a basket and carries them around with them. Children are using these schemas to make sense of their universe, and as they do so, they are building up the connections in their brains that enable them to think. They need to work through these behaviours to cement their brain connections in order to move on. People who do not understand schemas, and how young children think differently may find them irritating or frustrating and try to stop the child from doing them. The best thing to do is to encourage and allow the child to explore them fully by providing them with suitable experiences and resources until they can then move on. Below are some examples of schemas, and how we could facilitate them within the forest school setting. A child may like to throw things, or slide things along the floor, or drop things. They may like to put their hand out of the car window and feel the airflow, or under a running tap. They may also tend to climb and jump or move in different ways. Trajectory can be horizontal, diagonal or vertical and can be to do with the trajectory of objects, or with the trajectory of the child. Swings, hammocks, target throwing, paper aeroplanes, stick towers, tracing lines, ropes, levers and pulleys, see-saw, falling water, damming the stream, follow the leader, tug of war, obstacle course. A child may collect items in a bag and carry them around, put stones in their pockets, use vehicles to carry things around or move things from one side of the room to the other, then move them back again. Planting bulbs, shelter building, treasure hunts, tree faces, target throwing, stick towers, water races, clay models. A child may play with block toys like Lego, use string or wool or sellotape to connect things together, put blocks or cars or trains together. Then they may take them all apart (or topple the tower) and do it all again. Shelter building, rope work, kite making, making wooden pigs or reindeer, threading, making musical instruments, clay models. A child may like to spin on the spot, watch the washing machine, roll up a rug, spin wheels, play with objects which they can turn, be fascinated with clocks or watches, draw circular scribbles. Rolling down hills, log roll, barrel roll, tyre rolling, bug hunt, maypole dancing, stirring the cooking pot, mud pies, looking at the tree canopy. I think a lot of adults like this one with all their tidying up A child may like to line things up in a line, or make other patterns with objects, have to have things in a particular place. Den building, stick towers, tree faces, damming the stream, planting, magic wands, journey sticks, story lines, hide and seek. They have the urge to cover themselves up with a blanket, roll themselves into the rug, or envelop objects in fabrics or in paper or silver foil. Then they may like to open them up and do it all over again. Hammock, tents, tarps, mud pie making, tunnels, shelter building, bug hunting, threading. This one is all about putting things inside other things like objects into boxes or climbing into boxes or cupboards, filling containers with water or having all the zoo animals in the ‘field’. Can be a good one to have at tidy up time. 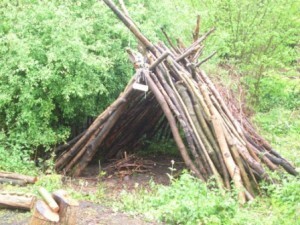 Shelter building, tarps, mud pies, mud kitchen, cooking, treasure hunt, hide & seek, mini beasts, small world. The child has the urge to make things change, squish them, hit them, bang them to make them change shape or consistency. They may have the urge to mix their drink with their food or put the sand in the water tray. Mud pies, cooking, clay modelling, rain and soil, water play, watching nature. The child may need to be upside down, or sideways, or see what the world looks like from under the table, or on top of your shoulders. 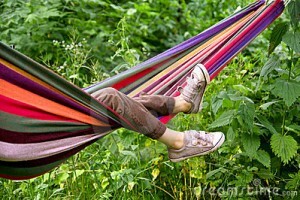 Swing, hammock, tree climbing, see-saw, small world, hide and seek, obstacle course.